TRY IT. LOVE IT. BUY IT. 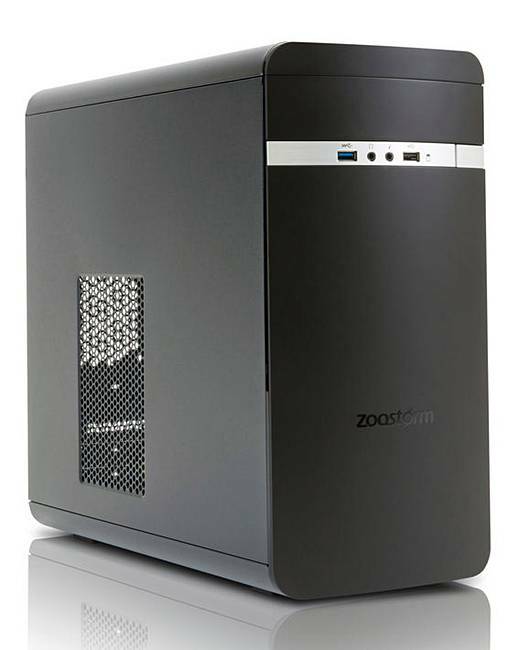 Zoostorm A10 9700 8GB, 1TB Desktop PC is rated 5.0 out of 5 by 1. “JDW UNLIMITED DELIVERY” gives you 12 months unlimited use of our Standard Delivery, Next Day Delivery, Sunday Delivery, Nominated Delivery and Click & Collect services for £9.95. You will still be charged for any Supplementary Delivery Charges which apply and the charges will be clearly detailed on the product pages and in your shopping basket prior to placing your order. “JDW UNLIMITED DELIVERY” is only available: to UK customers with registered JD Williams accounts; and for delivery to UK addresses. “JDW UNLIMITED DELIVERY” is only available for purchase online when logged-in to your JD Williams account. However, once you’ve subscribed, you can use it when shopping online or over the phone. Your purchase of a “JDW UNLIMITED DELIVERY” subscription is subject to acceptance by us. By purchasing “JDW UNLIMITED DELIVERY” you understand and accept that the benefits will be available from the date of purchase. You may cancel your “JDW UNLIMITED DELIVERY” subscription at any time within 14 days from the date of purchase by contacting us on 0871 231 2000. If you have not placed any orders with us during this 14 day period, we will issue you a full refund of the £9.95 fee. However, if you have (or anyone authorised by you to use your account has) placed any orders during this 14 day period and incurred any delivery charges, the amount of your refund will be reduced or you may not receive any refund at all. All orders placed are subject to our standard terms and conditions of sale. Delivery will be subject to the terms and conditions for Standard Delivery, Next Day Delivery, Sunday Delivery, Nominated Day Delivery or Click & Collect, depending on which type of delivery you choose. For Click & Collect the £40 minimum order requirement will not apply to “JDW UNLIMITED DELIVERY” subscribers. We reserve the right to amend these “JDW UNLIMITED DELIVERY” terms and conditions at our discretion and we will inform you of any significant changes. 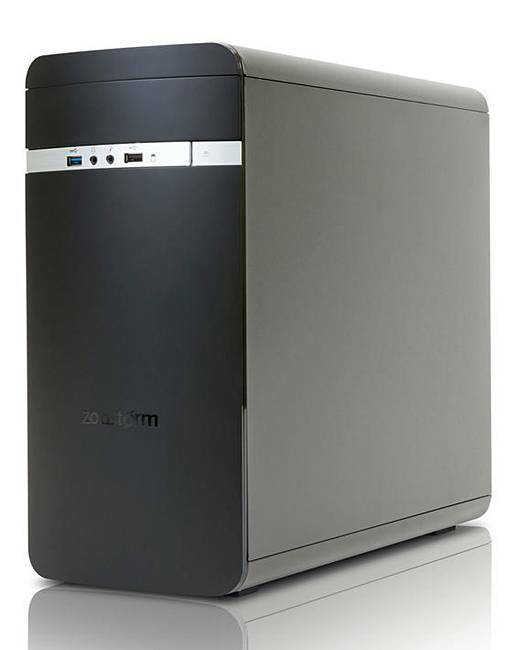 Let the Zoostorm Evolve be the focal point for your creativity. This tower is not only stylish and sophisticated; it’s smart too. Filled with the latest components it's perfect for editing complex documents, business use, maintaining your social media presence and anything else you do throughout the day. Please note we are unable to deliver this item to the following areas: Northern Ireland, Isle of Man, Channel Islands, Scilly Islands, Northern Scotland and the Scottish Islands. Equipped with an 7th Gen AMD A10 9700 four core processor, combined with an AMD A320 chipset, and integrated Radeon R7 graphics allowing for a fast and immersive desktop experience. 8GB RAM delivers swift performance and a high capacity 1TB hard drive gives masses of storage space. 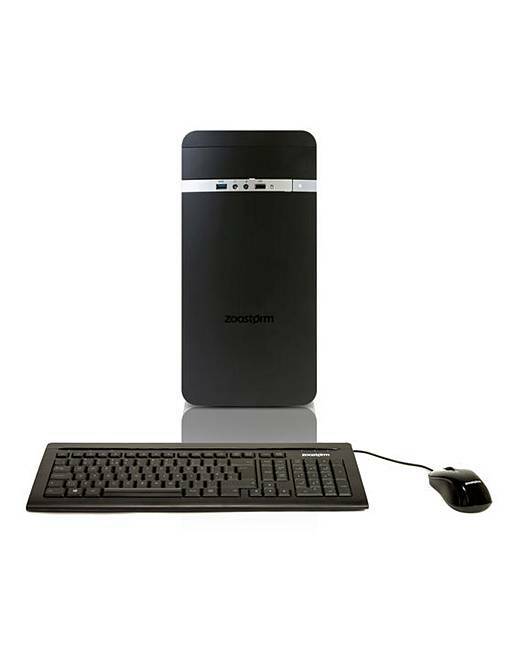 Technical Specification: AMD A10 9700 (2.80 GHz) Processor. 8GB DDR4 2400MHZ RAM. 1TB SATA 6.0Gb/s 64MB HDD. Integrated Radeon R7 Graphics. AMD A320 Chipset . 250W FSP Power Supply. Windows® 10 Home. DVD-RW. WiFi. 3x USB 2.0 (back x2, front x1 ), 1x USB 3.0 (front), 4x USB 3.1 (back). Keyboard and Mouse Included. We aim to deliver your order within 5 working days, providing that the items are in stock at our own warehouse, or by the time indicated if being despatched directly from our supplier, larger items requiring 2 man delivery will be booked in for delivery by the carrier after despatch. 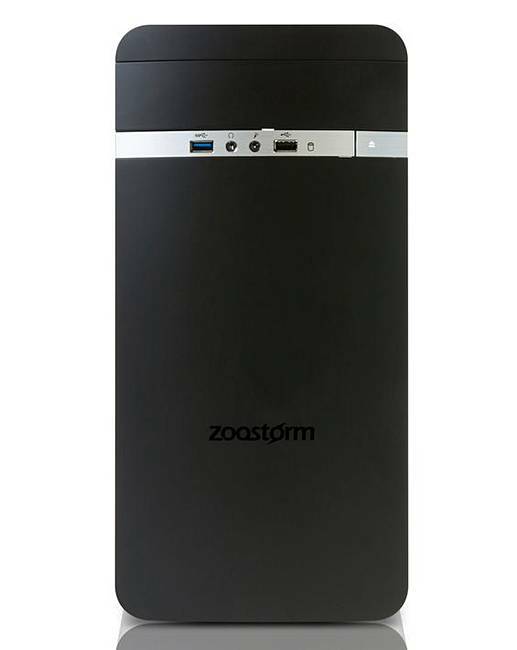 Rated 5 out of 5 by A Decent Man from It Does What Zoostorm Say's I know little about computer's, But this baby works for me and she does the job, she was Easy to set up, she is Fast and she is Quite, Great for watching Netflix, and I will stick to Zoostome in the Future. Be the first to hear about the latest trends, new arrivals & exclusive offers.